We’ve all been there – maybe you dialed a customer service number and went through 15 minutes of automated messaging before getting to speak to a real person. Maybe you came across a problem with your order and the representative you spoke with was less-than-concerned. When it comes to a valuable, time-sensitive shipment, these are two situations you certainly do not want to come across. At AFP Global Logistics, your satisfaction is our number one priority. Find out the benefits of working with a logistics company with excellent, convenient customer service by reading on! Whether you prefer the personal touch of speaking directly with a customer service expert, or the convenience of scheduling your freight shipment online, you can relax knowing that AFP has got you covered! What Sets AFP Global Logistics Apart from the Competition? As the Total Logistics Solutions Provider, our decades of service have allowed us to really narrow down and focus on what is important to our clients: our unmatched level of service. Our mission as a company is to provide you with the best level of personalized customer service that the freight forwarding and event industry can offer. We develop a customized logistics solution for each and every customer that allows us to get the job done – and do it right. We are committed to our employees and clients and utilize the latest technology, allowing us to continue to grow to meet the changing needs of our customers. In this industry, timeliness and accuracy are absolutely crucial. We know that even a simple mistake can cost you thousands. At AFP Global Logistics, we make shipping easy and stress-free for our clients. 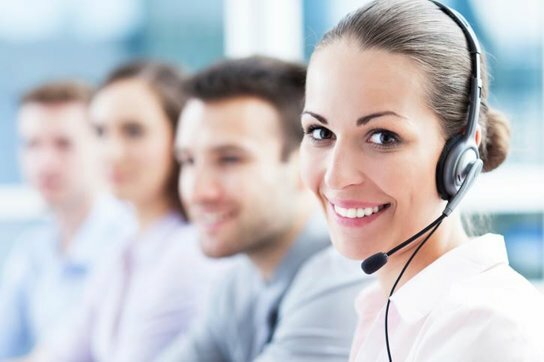 When you call AFP, you’ll know that you’ll get the same customer service representative with first-hand knowledge of your shipment each and every time you call. You’ll never have to experience the frustration of dealing with an automated system or speaking to a representative you’ve never dealt with before. It’s the little things that allow us to save you money and keep your stress-level down. Whether you prefer the personal touch of speaking directly with a customer service expert, or the convenience of scheduling your freight shipment online, you can relax knowing that AFP has got you covered! This entry was posted on Wednesday, September 9th, 2015	at 1:14 pm	and is filed under Business Basics, News	. You can follow any responses to this entry through the RSS 2.0	feed. Both comments and pings are currently closed.